The dog days aren't over yet. 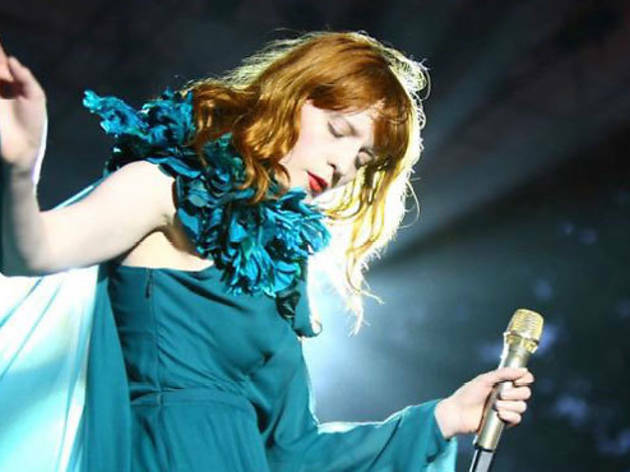 In case you're still kicking yourself for missing Florence + The Machine at the Hollywood Bowl—and you have an extra $5,000 burning a hole in your pocket—nab a seat at LACMA's second annual Art + Film Gala. In addition to the private musical performance, this year's event, which is co-chaired by Leonardo DiCaprio and Eva Chow and sponsored by Gucci, will honor renowned local artist Ed Ruscha and filmmaker Stanley Kubrick, who will receive a tribute by Steven Spielberg. (Last year's event honored artist John Baldessari and director Clint Eastwood.) Both honorees have concurrent exhibitions at the museum, which will be highlighted during the event. Access to the star-studded gala doesn't come cheap: Prices range from $5,000 for an individual ticket to $100,000 for a VIP table. But proceeds go toward expanding the excellent film program at the museum. Not to mention good karma, a good time and some seriously good Facebook pics.